Kheldul Obërgraff is an old dwarf who has seen more than his fair share of the beauty and cruelty of Azeroth. He picked up his gun late in life and became proficient with it only five years ago. In his dark time before that, he was commissioned as a scout under the banner of Bronzebeard. He was not lonely, nor did he seek the company of others. He maintained the path, alerted caravans of dangers, and was watchful. After two decades of this service, he traded his hatchet and crossbow for a rifle and ironically put his darker thoughts behind him. He opened himself up to true camaraderie. Kheldul had a wife many years ago at the beginning of the Great War. She was killed when he was supporting the war effort in the mines. His entire defenseless homestead was massacred. He now firmly believes in the unfair fight to any aggressor. He was brought up living the life of stonework and metalwork north of the Redridge Mountains. He knows the ways of mining and forging well, but abandoned the life of his father. This of course was no simple rebellion but was quite literally a breathe of fresh air. Unlike others of his race, he can keep his bearings better above ground than below. Kheldul maintains his gear. It is well-oiled. It is not shiny, but no one would call his kit unclean. He is always ready to leave and calls no one place home. Kheldul puts his whole being into what he sets out to do. If he sets a goal he surpasses it or so help him would die trying. He doesn't look back and lives in the moment. Yet, he maintains a display case of old rifles in Ironforge. On the inside stock of each rifle are the names of those enemies to civilization he has slain. Why Make Hunters Ranged Rogues Instead of Making Rogues Into Melee Hunters? 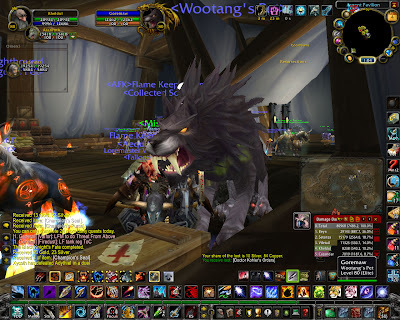 From 2004 to 2009, I've played a hunter in World of Warcraft. Not only that, I've played the same hunter I rolled on day one. I did not play in the beta where hunters did not have mana. For some reason they couldn't seem to make it work right and they launched hunters with mana. 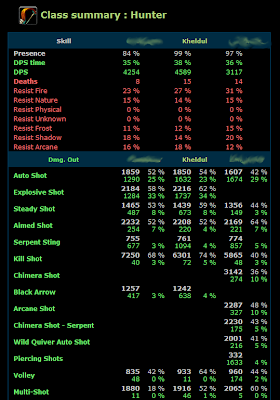 So for five years, I've balanced the need to dps with the need to manage mana while weaving shots and watching cool downs. Hunters are what we are. We are sustained ranged dps. I almost said "sustained ranged physical dps". Damage type is beside the point. Or at least it should be. We are not ranged rogues any more than rogues are melee hunters. Rogues don't manage mana or watch cooldowns (at least like we watch our cooldowns). We don't have combo points or even watch our pet focus. Skipping the stigma of a melee hunter, why are we being made into ranged rogues instead of rogues being made into melee hunters? So we are headed for a massive re-design from the ground up. It's not clear what it is based on. Maybe it's based on a failed initial effort five years ago to have hunters not use mana. But we know that everything about us will change. I'm not talking about every stat on our gear. I'm not talking about set bonuses. I'm not talking about the glyphs. I'm not even talking about every talent in all three talent trees. I'm talking about how we fundamentally go about dealing damage with our hunters. Can Blizzard pull it off? Is this a good and exciting idea? That's the easy question to answer. Everyone knows that they can not make it work and it probably isn't the best use of Blizzard's time. Well, everyone except those at wow.com. I doubt they can do hunters in a year given that; a) they couldn't figure out how make ammo no longer consumed, b) they spent six months balancing and re-balancing hunter talent trees, c) they couldn't figure out how to make it work when things were much simplier back in the beta. If Blizzard wants to re-invent a nicely balanced perfectly functional existing class from the ground up, why wouldn't they want to instead spend their time inventing a new class from the ground up?.. their second hero class. The thing everyone wants. The Bard? The Demon Hunter? The "fun" healer. There are many forum threads since DKs came out with lists of possible hero classes. Why fix something that doesn't need fixing when they can make something brand new with the same effort? I wrote the above other day and queued it for release this morning. Of course last night Blizzard fell on their face again. 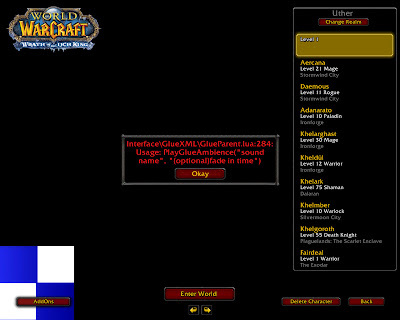 Half our guild spent 30mins in vent complaining that our realm was listed as "offline" after login. The other half was online in our realm. Fun eh? Well, add to that some people having 2500ms+ latency (myself included until I zoned into an instance where it returned to normal). So we had to call the raid. Then I join a heroic daily and what should happen? I DC. I try to log back in and I can't even get past the "Connecting" part of the login. So I'm organizing a picnic and birthday party for my wife. I reserved the perfect large pavilion and got the alcohol permit. I sent out printed invites with lotsa photos. I went and got $300 of party stuff; bowls, cutlery, plates, serving stuff, decorations. I got a caterer who is bringing all sorts of ribs, pulled pork, etc. I got a huge sheet cake. I have people coming. Lots of people. People from out of town. People from out of state staying at hotels. More people than we can fit in our house. And as you can guess, it's for Saturday, and we live in the north-east. Blizzard threw a massive number of changes against the wall at Blizzcon. I expect many of the more fabulous ones are just there to see if they stick. Okay, it looks like they can get flying to work in the old world if they just fix a few polygons here and there. (I do recall them complaining years ago about Stormwind actually being a paper doll of a city as observed from the air.) Okay, they're adding a huge amount of instances. Okay they are adding two races with their starting zones. Okay they're adding five levels of questing content and zones for them. And I actually buy all that. That seems normal even. I'd even go for reasonable. But why the heck do they think they will get it together and remake classes? I hear warlocks are being remade. I know hunters are said to be remade. Why not leave them be and just make a new class if they have that urge. I have watched my mana and cooldowns for years. Now I will not have to worry about mana and cooldowns, but instead think like a rogue? Blizz couldn't even make infinite ammo and now they want infinite ammo and a complete and total class redesign from the ground up? 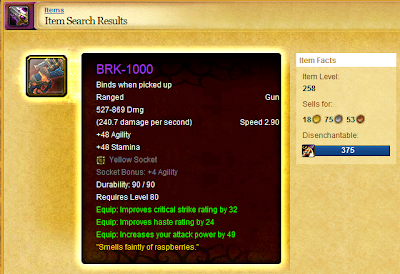 New talents, new abilities, new metrics, new pets, fully re-itemized gear. WTF? Well, so it sounds un-reasonable. But it of course goes further. Where is this coming from? Let's look further. Almost all non-primary abilities are going away. Or at the very least, these abilities are being hidden from players. Armor penetration was a bit over the top. I'd think they could just get rid of it. Does anyone really have an issue with Block, Attack Power, or Spell Power? Seriously? I don't think so. So why are they choosing this patch to remove almost everything other than base stats. My Theory is that stat simplification is an architectural consideration made beyond the scope and pay grade of Ghostcrawler, Blizzard's lead designer for Wow, and "B Team" MMO team lead. It is not being done to dumb the game down for more novice players. Wow is going to be one of Blizzard's properties in its fold. 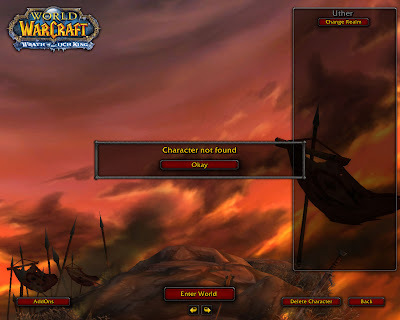 As an example, Wow will be under Battle.net in a very integrated way for its matchmaking and authentication / authorization and cross-game chat system. Similarly, Wow will share a fundamental server software architecture with it's other MMOs developed by its MMO "A" development team. That foundation will be basic universal stats, fast and robust client-server communication, and the ability to handle different algorithms. Those algorithms will be able to play different instances and handle different data and rules and physics, but the algorithms will need to be simple and fast and unified for any type of MMO. Totally anecdotal but interesting. Pre-patch 3-1/2 hour raid: 41 LnL procs. Post-patch 3-1/2 hour raid over many of the same bosses: 89 LnL procs. You can see the difference in Explosive Shots. This is for the whole raid, not just bosses. 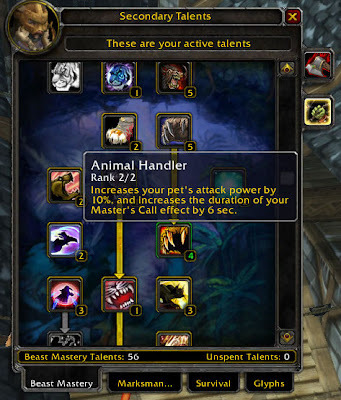 Animal Handler tweaks were in one earlier version of the patch notes. It is not listed in the final notes. I'm glad it's there for BM hunters. It seems good enough to not need to re-spec out of it. I noticed that Dalaran is now not a [flyable] zone as far as macros are concerned. So no hacky macros required. Why did I notice? I got my alt shammy the Cold Weather Flying BoA consumable book. Mail auto-completion shows you available options. The 'H'onor screen shows you the time left until Wintergrasp.